Costa Blanca villas with pools for holidays you can trust. Our longstanding range of holiday houses are hand picked and inspected by our experts who live and work in the area, you can rely on the accuracy of descriptions and solid booking arrangements. Alicante is the Valencia Region’s southernmost province and its Mediterranean coastline, stretching for nearly one hundred miles is known as the White Coast (the Costa Blanca). Beautiful sandy beaches lie intermittently between stretches of the sheer limestone cliff and spectacular rugged coast. This is one of Spain's tourist havens, due to its scenery, facilities, quality of its towns and the friendly locals. We have 153 villas in Costa Blanca. Discover more about Spain's Costa Blanca holiday attractions and find out what's on in the way of Costa Blanca holiday events in our more Costa Blanca information section. This is an excellent area for scuba diving and the many rocky inlets are ideal for beginners and experienced divers alike. Sailing is also good here and as with diving, there are plenty of schools and places to hire equipment. There is a surprising number of excellent, well-marked footpaths which offer super walks especially in the spring and autumn. 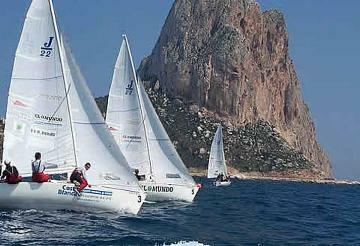 Find out more about the Costa Blanca sports and outdoors activities on offer. Local delicacies include almond-based marzipan and excellent cured ham. As well as Castilian Spanish the locals also employ Valencian (which closely resembles Catalan), although as the area is so cosmopolitan there is plenty of English spoken. In old times the area was occupied by Iberians, Phoenicians, Greeks, Romans and later the Moors who’s influence can still be found today. There is an exceptional choice of places to eat on the Costa Blanca, ranging from traditional Spanish food to just about every type of international cuisine you can imagine. What's more, the menus are usually multi-lingual and they are very family friendly. Above all the cost of eating out in Costa Blanca is very reasonable. The international airport at Alicante (ALC) lies just to the south of our major resort of Javea and there is a wide choice of flights from many regional airports. Valencia Airport (VLC) is also an option. Flight operators to the Costa Blanca include low-cost airlines Easyjet, Ryanair, Jet2, Flybe, Aer Lingus and Bmibaby. 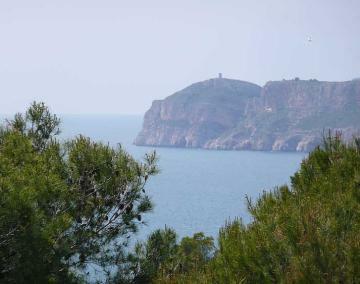 The Costa Blanca weather is exceptional, the region basks in an average temperature of 17.6 degrees C (63.7 degrees F). There are many very smart boutique shops in most of the seaside resorts in the Costa Blanca. Here you will find all top brands including Lacoste, Chanel, Gucci and Hugo Boss. They like to dress well in the Costa Blanca and there are plenty of opportunities for you to enhance your wardrobe. There is also a good choice for everyday wear. Short Moments by AJ Barnett allow you to appreciate the work of a local Costa Blanca author and Past Sins: A love story (Spanish Nights) by Ellie Jones involves the local natural beauty Les Fonts de L'Agar. For the outdoor enthusiasts, the Rockfax Costa Blanca is the comprehensive climbing book and John Oldfield's Landscapes of the Costa Blanca is a great help for walkers. Costa Blanca, Spain resides in the Central European Time zone (CET) which is one hour ahead of Greenwich Mean Time (Standard time zone UTC/GMT). There are many beautiful beaches along the Costa Blanca. Some are pebbles and others sandy, there are also many which are set in pretty coves protected by high limestone cliffs. The Costa Blanca was one of the first areas in Europe to develop villa holidays on a large scale, consequently, many of the houses for holiday rent were built in the fifties and sixties on large plots of land, which was cheap in those days. Many of the holiday villas in Costa Blanca have been modernised and updated to keep up with modern day requirements. Usually, you have to hire a linen and towel "kit" for a fairly modest price. We have over 20 years experience of holiday villas on the Costa Blanca, let us help you make the right choice, consult our experts on Spain's Costa Blanca villas.